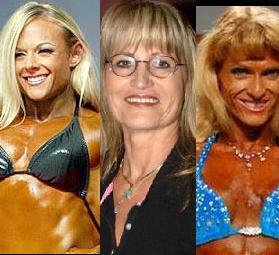 This is a very special episode of Muscle Girls Inc. We are talking about an issue that we feel effects many of the women, and even some of the men, in our industry, as well as the general public. The subject we'll be talking about is: Eating Disorders. 2005 Nationals Light Heavy Weight winner Debbie Laszewski shocks everyone after placing 2nd to seasoned competitors at the 2009 Ms. International, bouncing back from her controversial placing at the 2000 USA's. Julie Palmer placed an impressive 2nd place at the 2009 Fitness International last week in Columbus. She's a 6 time Ms. Olympia competitor and has graced the Fitness International stage 5 times. She is also an Author and NPC show promoter!